Jacuzzi is perhaps the oldest spa manufacturer in the United States. The company blends a mixture of quality jets in its hot tubs to create a soothing and relaxing experience when using the spa. The pump located in the hot tub beneath the external skirt is typically the hardest working piece of equipment in the spa. Priming the pump properly is the first step to getting the spa in good working order. 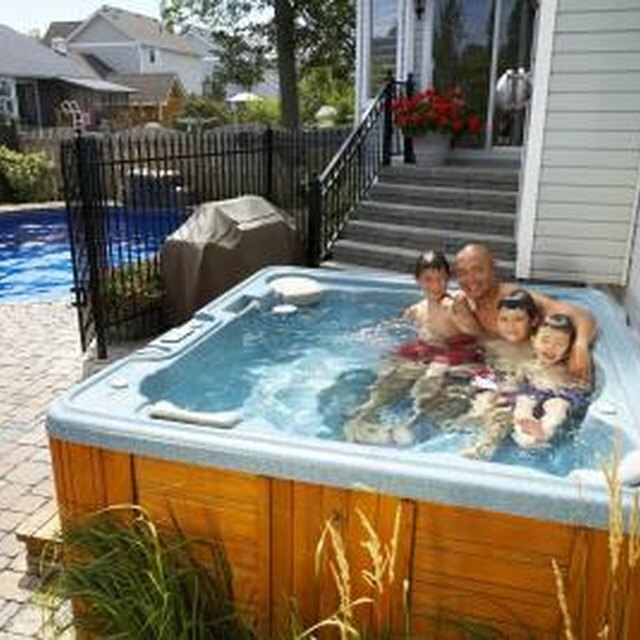 Jacuzzi has two options for priming the pump in your hot tub. Turn off power to the hot tub at either the breaker box or the ground fault circuit interrupter. Wait 60 seconds prior to turning on the power to the hot tub. Check the Jacuzzi's control panel to ensure an error code is not present. Listen for the circulation pump to begin moving water, which means the hot tub is automatically starting to prime itself. Press the "JETS 1" button several times. Don't allow the motor to run more than five to 10 seconds each time you start the jets. Pull the filter cartridge up and out from the skimmer. This will release air from the internal plumbing of the hot tub. Reinstall the filter cartridge into the skimmer. Turn on power to the hot tub and check the control power to ensure the pump is starting to prime. Persistent errors codes on the Jacuzzi's control panel may require a maintenance call from a licensed technician.